Some commercial real estate investors have several properties and understand that juggling several mortgages with various interest rates and terms can be challenging. That is where a blanket loan can be a possible solution. A blanket loan allows you to make a single payment to a single bank with one set of loan terms. This allows you to buy, hold or sell many properties under one loan without causing a due on sale clause. The blanket mortgage programs are not available at every bank. There is usually not a limit to the number of commercial properties you can have with a blanket loan. So, investors can use the leverage they get from a bigger loan to get more equity, have better terms on the loan and possibly have a lower monthly payment. Below are some of the other advantages of a blanket mortgage for real estate investors. Without a doubt, the biggest reason to get a blanket loan is to consolidate several loans from multiple lenders with one financial arrangement with one lender. Also, the several properties under that loan can help you to negotiate better lender terms. You may be able to get a lower payment. This can boost your cash flow and raise the value of your properties. 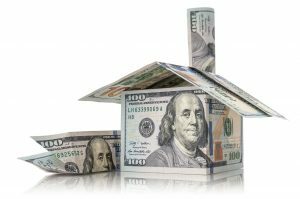 Many investors want to gather funds to make a down payment on another property, or possibly rehab a property they already hold. If you pool your real estate investment properties under a single loan, you may gain access to more cash than you usually have access to. Many banks will not finance a loan for a lot that has mortgages on it. Some lenders say this policy protects them in case the developer defaults on the mortgage, this can be an issue as a builder or developer who is in need of releasing liens that are on the land. But, if the property is bundled with many other lots with a blanket loan, the developer might be able to use a provision of partial release. A partial release clause can be added to a mortgage loan to let the lender release one property as the property owner pays on the mortgage and pays down the balance. The lender can assign a loan value on each property and set a part of the sale price or amount of the loan that needs to be paid for that property to be released. A lot of mortgage lenders want to have a greater percentage to cut the total amount of outstanding debt. It may seem logical to prorate the amount of the loan among all of your properties and release each one when the amount you receive is equal to the loan value that is assigned to each unit. But lenders do not do this; they assume there is some error in the appraisal. Blanket loans can make it harder to refinance or sell properties separately. For instance, if the loan is not structured as a partial release and there is a clause for due on sale, the sale of a single property can make your whole mortgage come due. Some investors think if they finance several properties at once the closing costs will be less than if they financed each individually. However, closing costs will be high because they are based upon the total number of investment properties and not how much the loan is for. The lender also usually requires each property to have an appraisal. It also may want you to have physical inspections done on each home. When you combine these with additional costs such as title search and title insurance, the closing costs can be very high. Each state has separate guidelines for blanket loans, so you have to have a blanket loan for properties in every state. So, if you have properties in three different states, you need to have blanket loans for properties in each. Also, note that blanket loans are not always easy to locate. 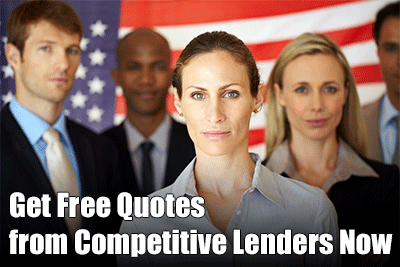 Not every commercial lender offers blanket loans. You could have to search community banks or credit unions to find a lender that does them. These also are not intended to be long term loans. They do not fully amortize and will probably not be renewed by the mortgage lender.